“Good ratios – lots of input – stretched me but took into account my level/ability. Appreciate having multiple boats so could improve fit/comfort. Improved skills no end." "Perfectly suited to needs, received all necessary information. Excellent quality of kayaks and paddles. Excellent coaching and personable approach tailored to specific needs. Much appreciated the quick set up and organisation of course and competitive pricing." Cumbria has some of the best white water rivers in the UK. 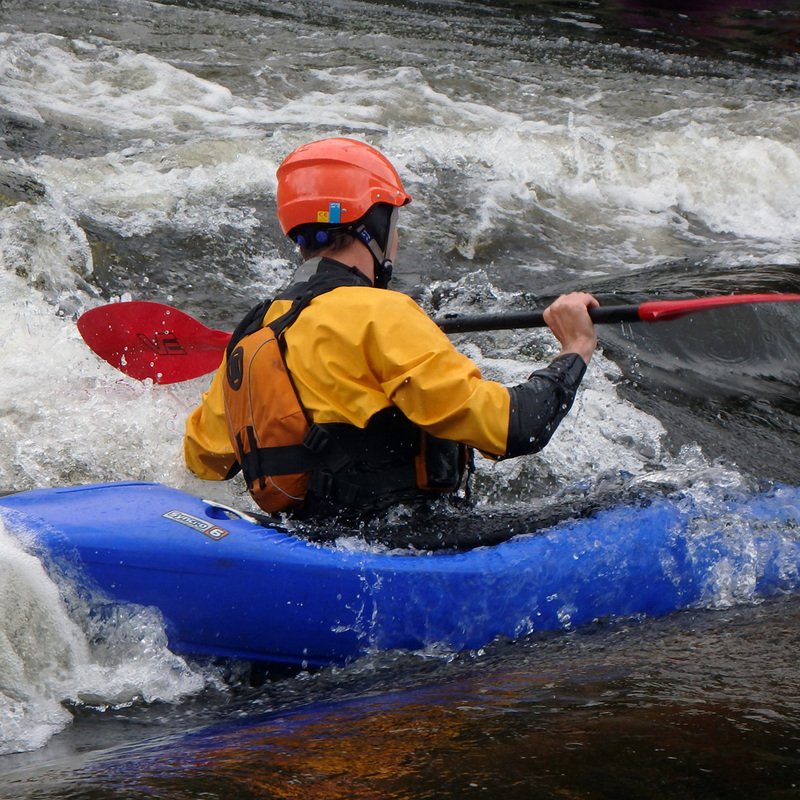 Whether you want your first taste of white water or you want to revisit the basics of paddling on moving water, this course will meet your needs. You could enjoy the beauty of the river Eden as you paddle through its sandstone gorges on its bouncy wave train rapids or perhaps the gentle meanders of the middle Derwent as you paddle towards Bassenthwaite. The only down side to white water kayaking is that sometimes when we are having the most fun is when you are most likely to fall in. This can be a little wet and cold. In order to make sure you have the best time possible we will issue you with one of our high quality drysuits. Swimming around in a river when you stay dry is pretty fun. 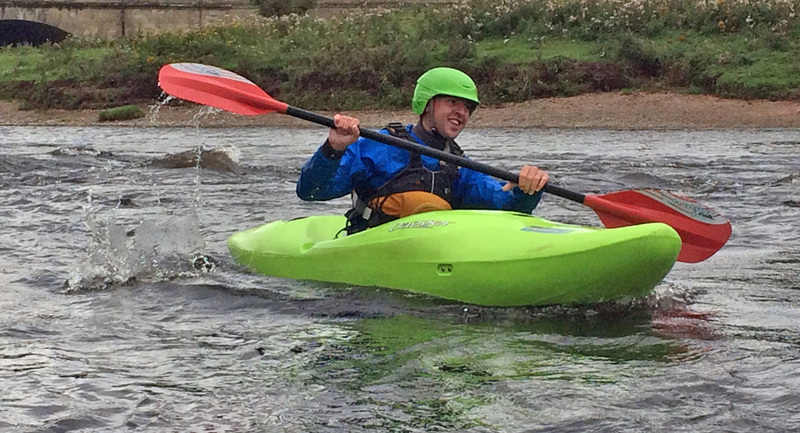 All courses start with an introduction to your equipment using a range of high quality kayaks. After a fitting session we will take you on some easy water and start to coach you in the skills required for white water paddling. From there we will move you on at your own pace setting challenges that will suit you. If you already have the above equipment, please bring it along. Clothing to wear under a drysuit, including a couple of thermal layers and some warm socks. Sturdy footwear such as trainers or substantial wet boots but not walking boots. Note that thick socks and drysuit feet take up more room so make sure the footwear allows for this. If you don't have any of the above equipment please contact us as we can probably provide it, if given appropriate notice. 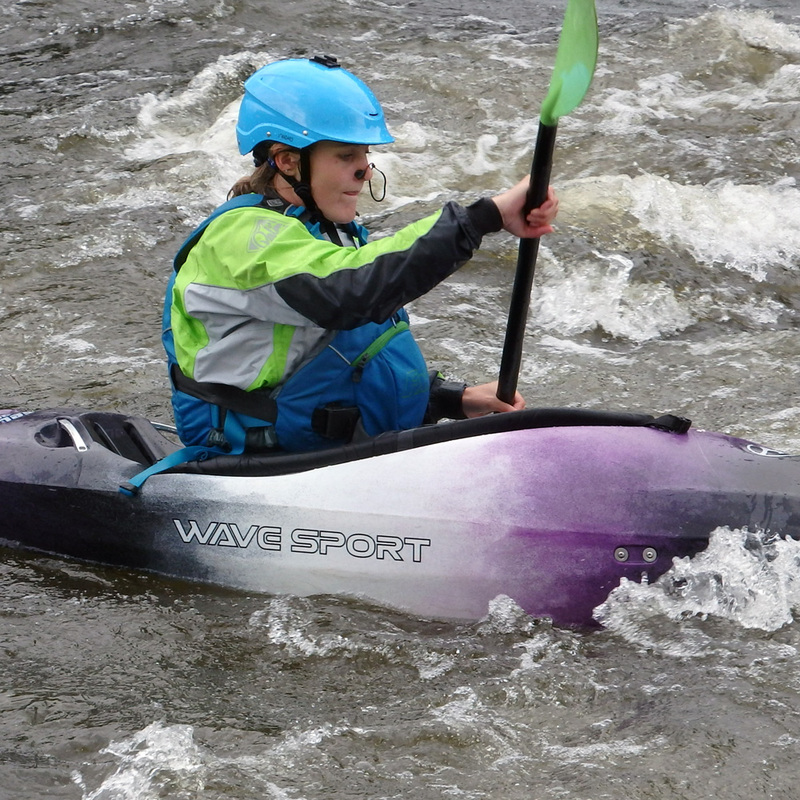 Course fee includes the use of our fleet of Dagger white water creek boats, fitted with the top specification outfitting. Drysuits are available, if required.